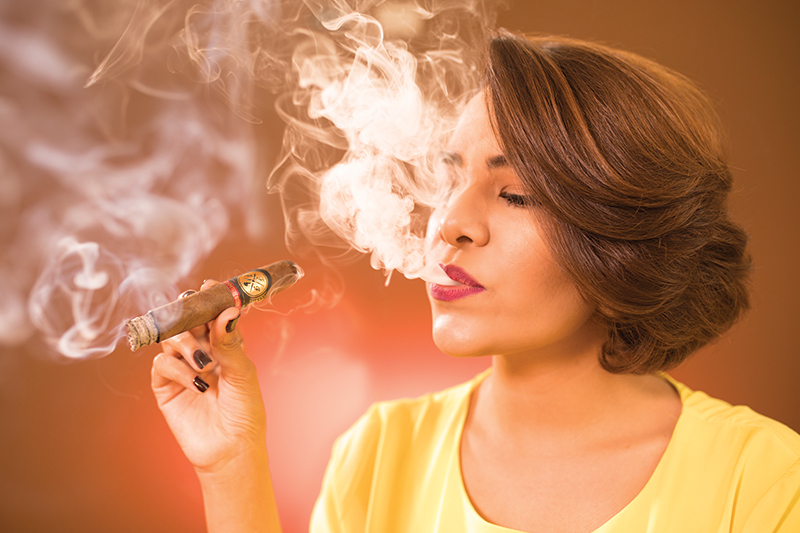 The world of tobacco is new to Indiana Ortez, but she has big plans and ideas about transforming the place of cigars and women in the business for generations to come. The perseverance and passion Indiana Ortez saw in her father when she was a child piqued her curiosity about tobacco. 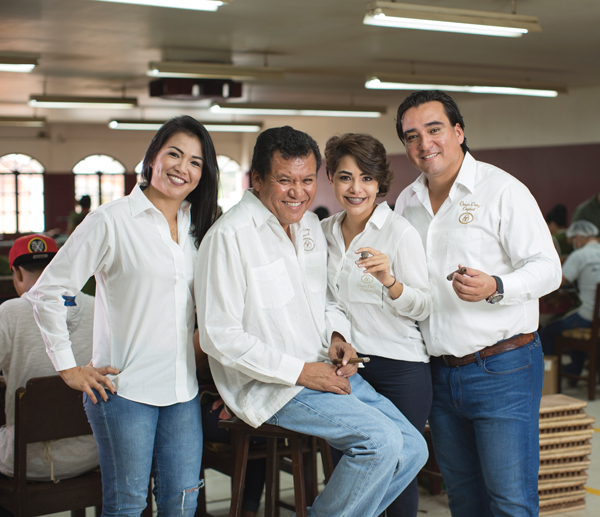 The Ortez family’s roots in Nicaraguan tobacco run deep. 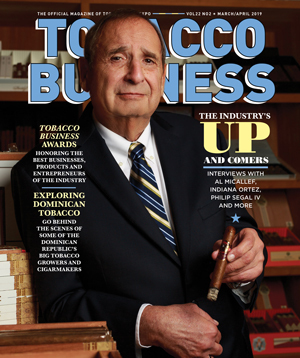 In 1967, Indiana Ortez’s grandfather, Ramon Ortez, began working in Nicaraguan tobacco fields. His work opened up new opportunities for his family and helped set its path for the generations to follow. 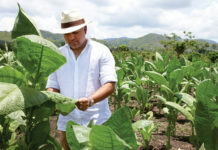 When Indiana’s father, Omar, was 10 years old, he joined his father working in the tobacco fields. Years later, Omar found himself the head of the farm. 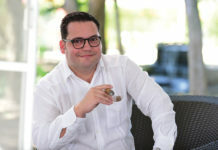 Later still, he assumed the role of general manager for companies that would become instrumental in the development of Nicaragua’s tobacco industry. Ortez Family Tobacco: Anielka, Omar, Indiana and Omar Jr.
Indiana didn’t want to simply work in the tobacco industry; she wanted to understand it and the products her family was making. As she began interacting with different manufacturers and learning about their brands, she realized she needed more knowledge. She approached her father, asking him to help her learn more about the production side of the tobacco business. Her father took her through the process of making a cigar, which lasted for half a year. She learned how he inspected tobacco, how he blended tobacco and how he actually made the cigars. Describing the entire process as the best thing that she’s experienced so far in her life, Indiana embraced the opportunity her father and another mentor, named Fausto, presented to her. Indiana has had strong female role models at every stage of her life. She describes her mother as a strong and decisive figure who has served as her father’s right hand in business. Her mother was also responsible for the family’s integrity and education, never discouraging or putting any limit on what Indiana and her siblings could do and accomplish with their lives. Her sister, Anielka, is also heavily involved in the family’s tobacco business. She serves as the CEO of her father’s businesses and is also the president of the Nicaraguan Tobacco Chamber. From watching her father and sister conduct business, Indiana says she has learned to never give up and that with every challenge she can find the strength within to tackle it. She’s also learned that there’s a lesson to learn from every failure. Her first blend, Fathers, Friends and Fire Father & Daughter, was just the start of Indiana’s collaboration with Ventura Cigar Company. At just 24, Indiana’s career is taking its own course, and she’s beginning to have her own impact on the tobacco industry. She takes pride in being a woman working in a typically male-dominated industry like tobacco. She hopes her story will inspire other women in the industry to challenge themselves and help pave the way for an evolution to take place. She wants more women in the tobacco industry to showcase their abilities, rightfully claim their place within companies and be seen as equals who are judged for their merits and contributions. She hopes to see more tobacco companies providing more educational opportunities for women and to extend healthcare services to them and their children. 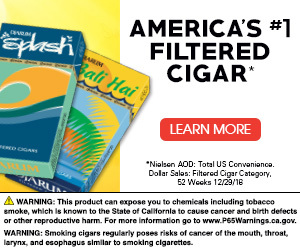 Benefits like guaranteed childcare and accessible medical care would help support women working in the tobacco industry. Indiana advises women who want to see this change now to believe in their potential and to not be afraid of their intuition, noting that this is the only way women will be able to overcome gender stereotypes and build industrywide female confidence. As for her own personal plans, she sees herself as coming up with new brands for niche markets. She wants to create cigars for a new generation of smokers who are willing to experiment with their palate and to let blenders like herself take some chances with their palate.